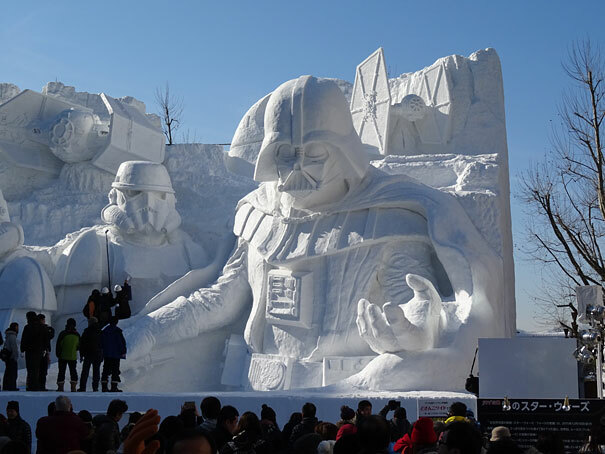 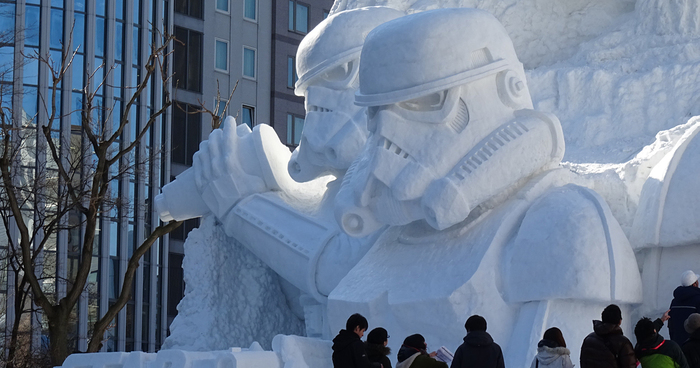 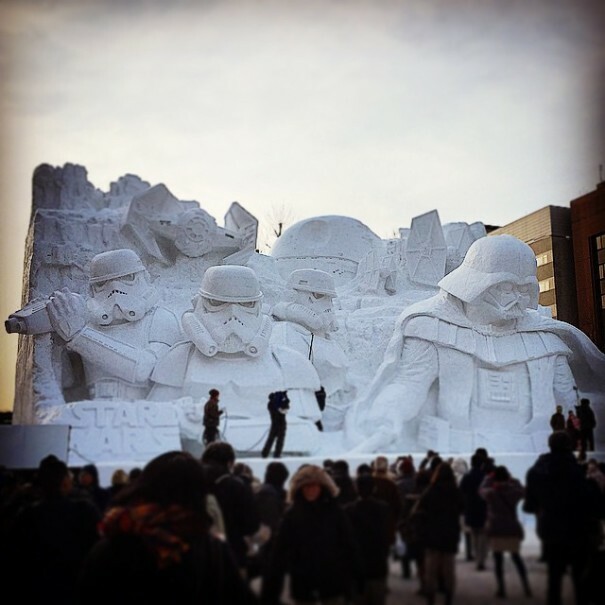 "Japanese Army Creates Star Wars Sculpture For Snow Festival"
The massive structure features Vader, a trio of Storm Troopers, TIE Fighters, and the ominous Death Star. 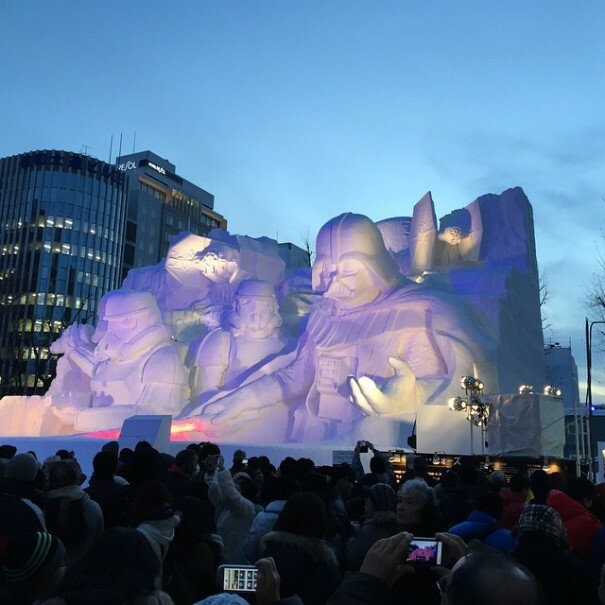 According to a Google-translated story from Yahoo! 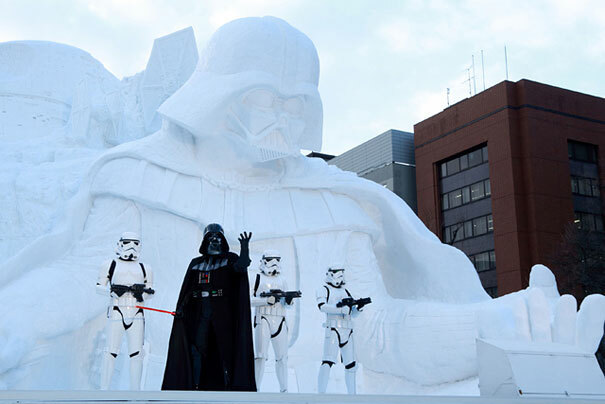 Japan, the sculpture is approximately 50 feet high, 74 feet wide, and 65 feet deep. 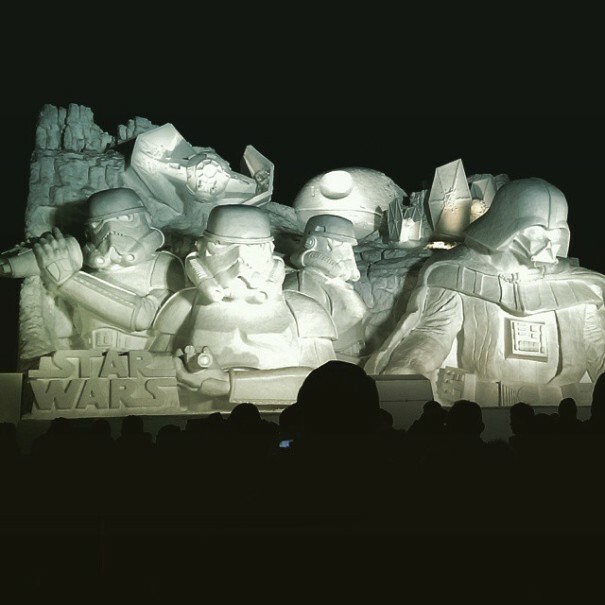 and took 2,000 people to complete. 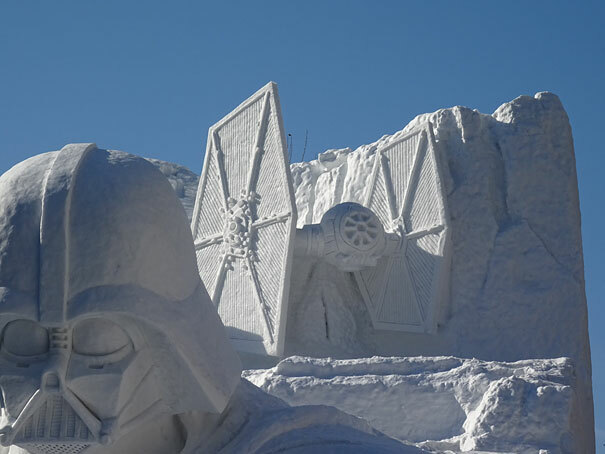 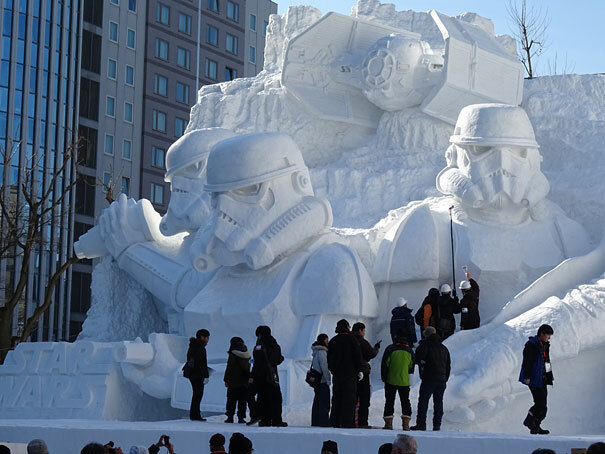 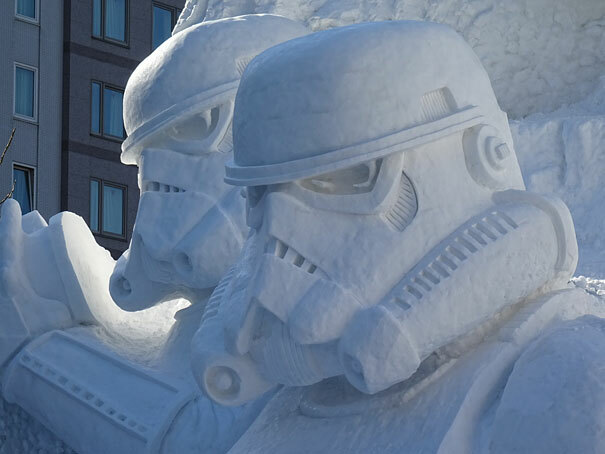 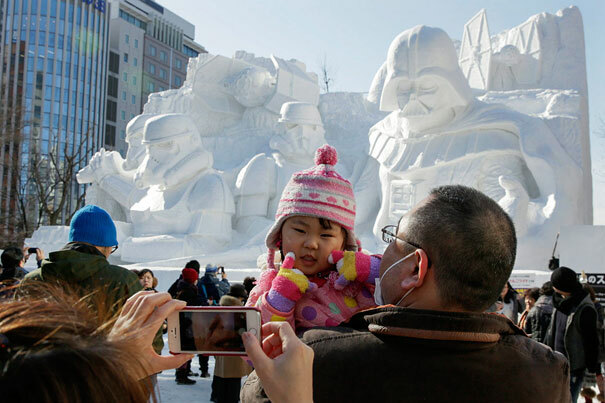 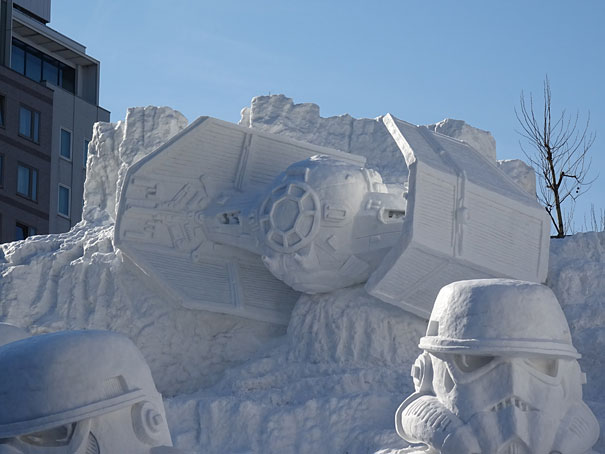 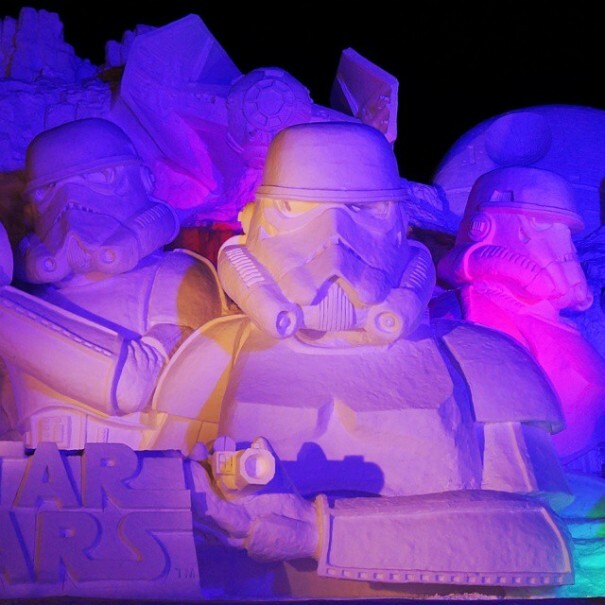 According to the festival’s website, “Snow Star Wars” was approved by Lucasfilm, making it the first snow sculpture to be formally endorsed by George Lucas’ production company.